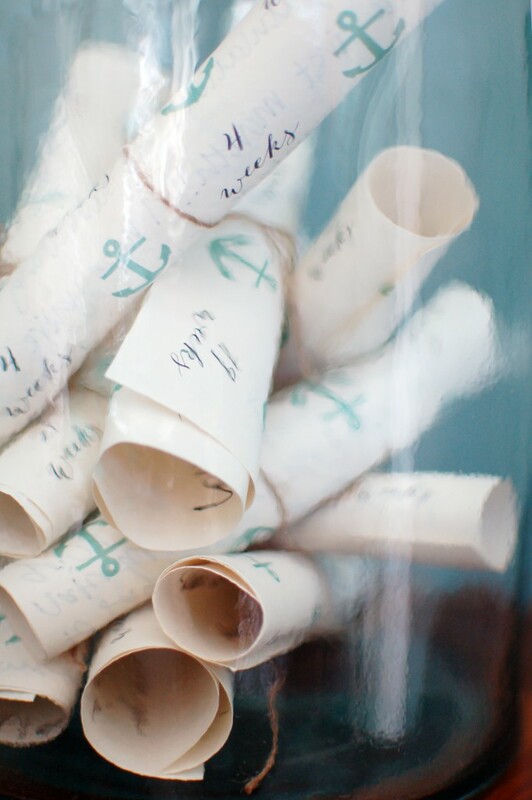 I hesitated to set up this Message in a Bottle activity at Trish’s nautical baby shower, as I had already sent out Message in a Bottle invitations. 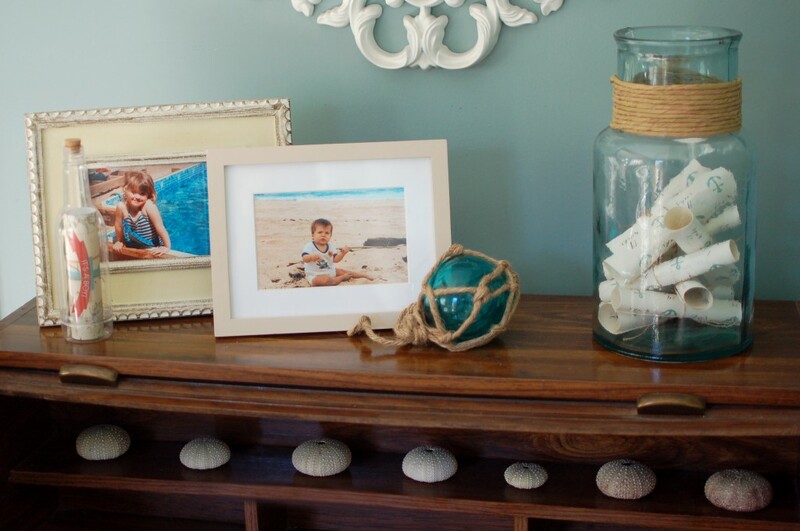 But what the heck — it’s such a cute and easy idea! 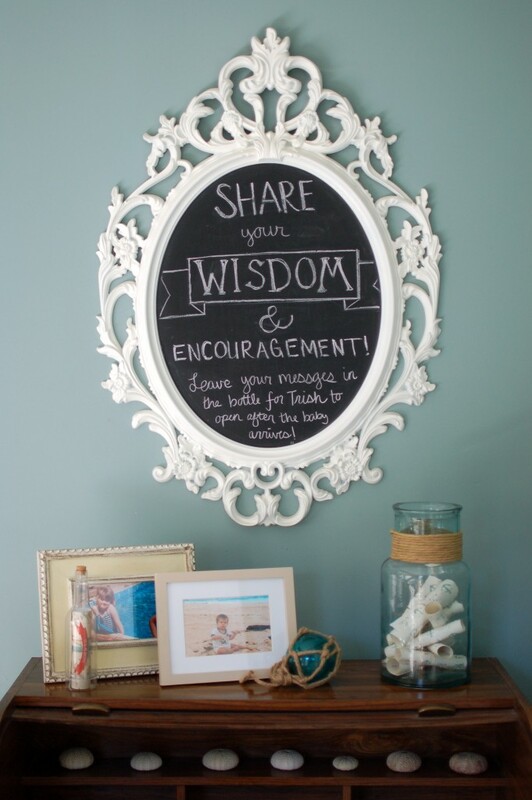 The note on the chalkboard reads: “Share your wisdom and encouragement! 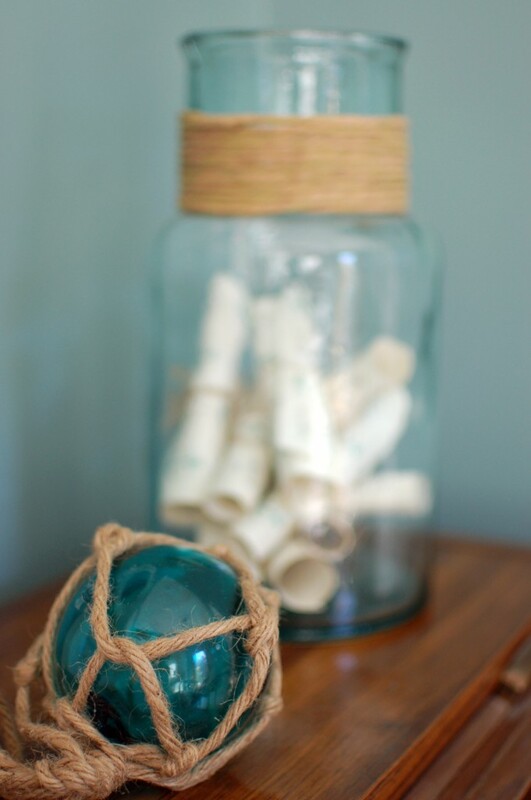 Leave your messages in the bottle for Trish to open after the baby arrives!” And the pens, paper and twine all sat on the desk below for guests to do just that. I sometimes have a hard time thinking of general well wishes to write to moms- or brides-to-be (especially after just writing it all in the card that’s attached to their gift! ), so I appreciate having a prompt (like the ABC cards I used at a previous shower). 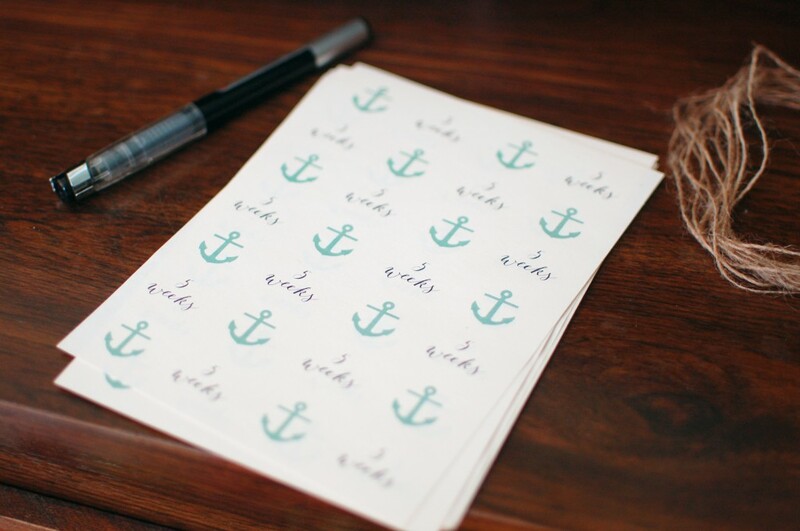 While this activity didn’t have a prompt, per se, each note was for a particular week after the baby is born. Instead of opening all the notes on the shower day, Trish can open one per week for the first several months of her baby’s life (if she has time, can remember and can find them in the haze of sleep-deprivation!). I like the idea of sharing encouragement and wisdom along the way, rather than all in one day!